Today was Day #4 of Chocolate and Mint Theme Week. How do you start your day? 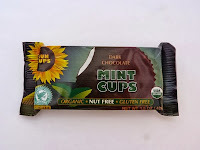 This morning I started mine with a light breakfast, and part of a Sun Cups Dark Chocolate Mint Cup from Seth Ellis Chocolatier (Boulder, CO). 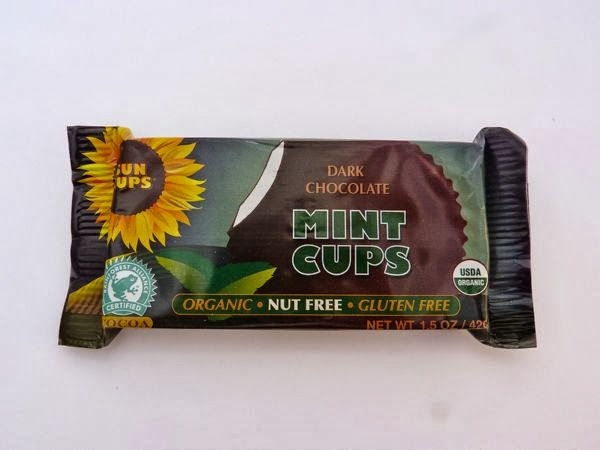 These dark cups contained a peppermint-flavored white chocolate filling; and the organic, nut free and gluten free cups may provide a chocolate candy alternative for those who can't eat nuts.